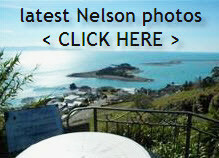 With the lifestyle that Nelson and Tasman offers, it’s only logical that families would desire to live here. Yes it is, for example we have the largest camping ground in the Southern Hemisphere at Tahuna Beach, and it fills up most years over the Xmas/New Year break. Testament to the attraction and reputation that our region has for holiday making families I feel. In fact many families re-visit year after year for their annual holidays. And a great many folk take it to the next step, deciding they like it here so much, that they want to live here. A great website here offers all you need to know about education options in Nelson, and if there are any further queries feel free to email me or comment. Whats this Decile Information stuff I see in New Zealand? You can check out the Decile Rating yourself by downloading one of the revelant spreadsheets here at this page .